As we move into the new year, we thought we’d take a look at the most important advancements in modern dentistry and orthodontics. 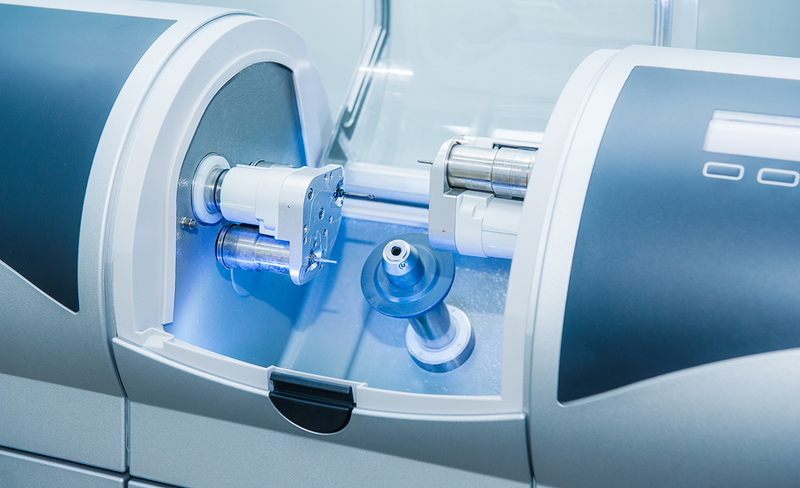 A milling machine, used to create custom same-day CEREC crowns. CEREC crowns have revolutionised the crowning process forever, giving patients the option to get a crown in a single appointment. The normal crowning process involves at least 2 appointments and the need for a temporary crown whilst your new crown is being created in a dental lab off-site. By contrast, the crowning process in the case of CEREC does not require the patient to have a temporary crown because the crown is made on site in a milling machine. Your dentist here at Cliftonville will create the crown from a highly aesthetic block of porcelain and in the image of your smile taking factors such as your eye, hair and skin colour into account. Arguably one of the most significant advancements in orthodontics is the Invisalign process. An alternative to fixed braces, Invisalign is a series of removable plastic aligners that are removed by the patient every 2 weeks and worn 22 hours each day. The two-hour window allows patients to eat and brush without the hassle of getting any food stuck in between their teeth. Both CEREC and Invisalign employ the use of digital impressions which streamlines treatments dramatically. Traditional impressions are well known for being uncomfortable and challenging for dentists to take; as the impression material used is gloopy alginate, this can make it difficult to get an accurate impression first time, as the patient often suffers a gag reflex that prevents the dentist from carrying it out. Digital impressions on the other hand, are a simple scan of your teeth. The most common use of Botox is in the context of facial aesthetics to temporarily eliminate wrinkles. However, Botox can also be used to treat excessive sweating, also known as hyperhidrosis by blocking the signals from the brain to the sweat glands and in turn, no sweat is produced. Such a treatment can bring about life-changing benefits such as restoring a person’s confidence, especially for those who have suffered in silence and without knowing why they’ve been suffering for a number of years. If you are interested in cosmetic, restorative or general dentistry here at Cliftonville, please contact us and our friendly reception team will be happy to provide you with the details you need.